Scribes assist practitioners in navigating the EMR and locating information such as test results and lab results. The use of scribes has garnered a generally positive research base for being effective in improving clinician satisfaction, productivity, time-related efficiency, revenue, and physician-patient interactions.1,3,4 Nevertheless, there are concerns regarding a potentially negative impact of scribes on the physician-patient relationship. To gain further insight into the differing perspectives on the use of medical scribes, Monthly Prescribing Reference interviewed two experts: Michael Murphy, MD, co-founder and Chief Executive Officer of ScribeAmerica, LLC, who spoke in favor of the use of medical scribes, and Ami Schattner, MD, Professor of Internal Medicine, Hadassah Medical School, Jerusalem, Israel, who raised some cautionary notes. When was ScribeAmerica founded and how has it evolved? Dr. Murphy: I co-founded ScribeAmerica in 2004. At that time, lower volume hospitals typically had paper charts, while many higher volume hospitals had some type of electronic records. Both settings often used scribes and when there were scribes, the physicians were happier, regardless of whether they were using paper or electronic means of documentation. The company initially had a slow start, but it has grown tremendously since then. What has enabled us to grow is not only the role of EHRs in the mandate set by President Obama in 2009, but also the increasingly complicated EHRs and the enormous amount of regulatory burden that has been instituted over the last decade in meaningful use, PQRS, core measures, values-based reporting, and other requirements. How do scribes assist in alleviating these burdens? Dr. Murphy: Scribes assist in taking care of ancillary tasks and duties, core measures, coding, and meaningful use compliance. Obviously, scribes do not prescribe medications, touch patients, or engage in diagnosis, only provide ancillary clerical support. Our scribes have a particular interest in medicine, as many are pre-nursing, pre-medical, or pre-PA students. In what settings do scribes practice? Dr. Murphy: Scribes practice in a variety of settings, including emergency departments, inpatient rounds, outpatient practices, urgent care facilities, and even telemedicine structures. Of course, the nature and style of the scribe’s responsibilities will vary according to type of setting and needs of the individual practice, county, hospital, or region. It is not a “one-size-fits-all” approach. What is your experience with physician and patient satisfaction? Dr. Murphy: In my experience, scribes enhance the satisfaction of both physicians and patients. Many physicians have said to me, “Now that I don’t have to look at the computer all the time while I am with a patient, or rush through documentation and race to the next patient, I am finally doing what I went to medical school to do, which is to concentrate on the patient.” And patients are happier because the physician can focus on them, rather than on the computer screen, and are less rushed so they can be more present for the patient’s concerns. Do scribes increase the costs to institutions and individual physicians? Dr. Murphy: The idea that scribes increase healthcare costs is penny-wise and pound-foolish. Scribes allow physicians to be more efficient providers. 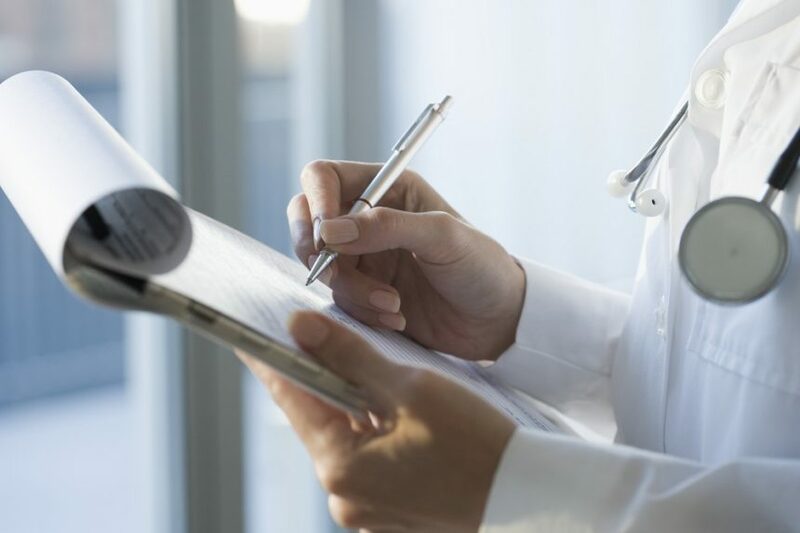 Practices do not have to add more physicians, NPs, or PAs to allow the practice to grow because when documentation is done for a physician, he or she can take on more patients. In the case of a hospital, one ED physician receives a much higher salary than a scribe, but the scribe takes on some responsibilities of the physician so that new physicians do not have to be hired.